Raymund is PwC's Assurance Leader in Hong Kong/China as well as the Asia Pacific. He graduated in Toronto Canada with honours and began his professional career there before moving back to Hong Kong. Raymund then relocated to Beijing during 2003 and became the firm’s China Assurance Leader in 2005. From 2011, he also became PwC's Assurance Leader for Asia Pacific and is one of the five core members of the PwC's Global Assurance Executive Team. During his professional career, Raymund has provided audit and business advisory services to both state-owned and private enterprises in China and Hong Kong. He has a wealth of experience in China, playing an instrumental role in some of the onshore and offshore initial public offerings (IPO), debt financing, corporate restructuring, and mergers and acquisition transactions. Raymund stays connected with the relevant regulatory bodies to contribute to the thinking and development of the accounting profession in China. He is an advocate of both corporate governance and the importance of internal controls with both regulatory bodies as well as clients. 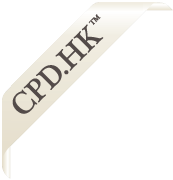 Raymund is a Chartered Accountant in Canada and a Certified Public Accountant (practising) in Hong Kong.